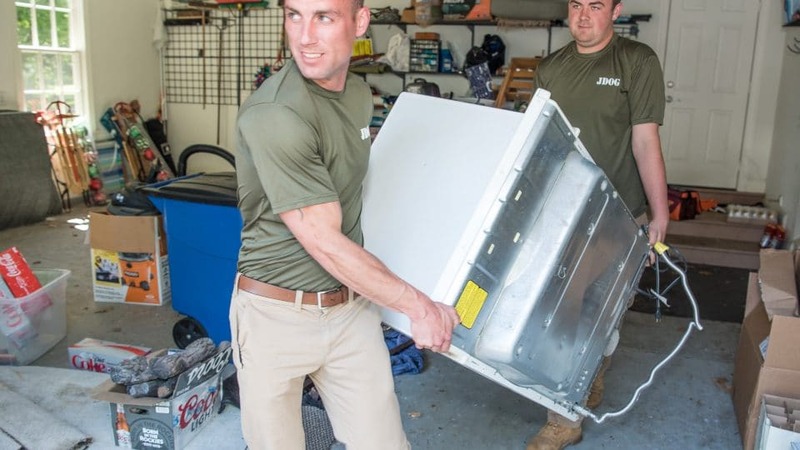 We’re JDog Junk Removal and Hauling, the trusted team of Veterans, Veteran and Military family members who are eager to serve you and haul away your junk in Fishtown, Philadelphia. Striving to make our community a better place, we serve you with Respect, Integrity, and Trust—the same values we lived by in the Military—and donate and recycle 60% to 80% of what we haul. We are the right team to tackle your jobs, both big and small, whether you are tackling a home improvement project, clearing your attic, or replacing your appliances. If you need a trustworthy, Philly-based team to handle your junk, JDog Junk Removal & Hauling is just the one you’re looking for. Call us today at 844-GET-JDOG.